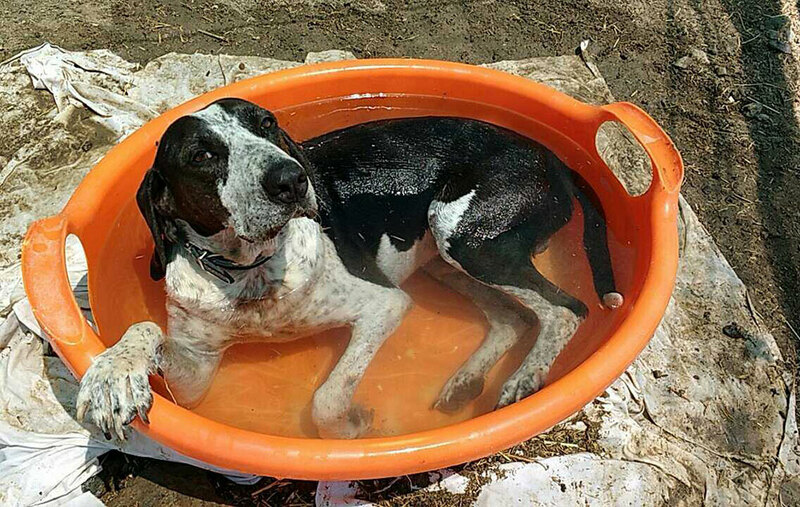 Rebecca from Lesvos Stray Dog and Cat Adoptions, who does brilliant work with strays on the Greek island of Lesvos, is looking for help with six hounds rescued from the streets of Mytilini. Obviously, finding new homes for them is her real aim, but she would also be delighted to receive donations to help fund their foster care. To find out more about any of the dogs described here, how to adopt, or how to make a donation to help see them through the winter, please contact Lesvos Stray and Cat Adoptions or do drop us a line. 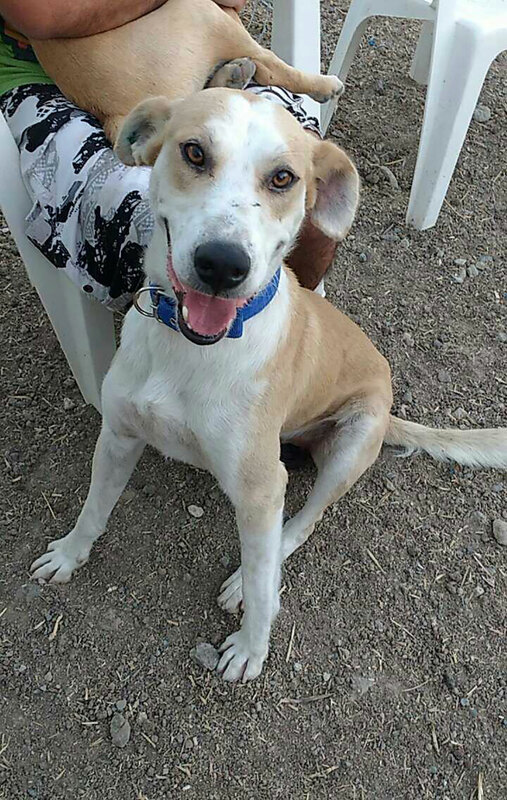 Around 18 months old, Arman is sweet and affectionate, tall and strong. He loves playing, running, cuddles and strokes. 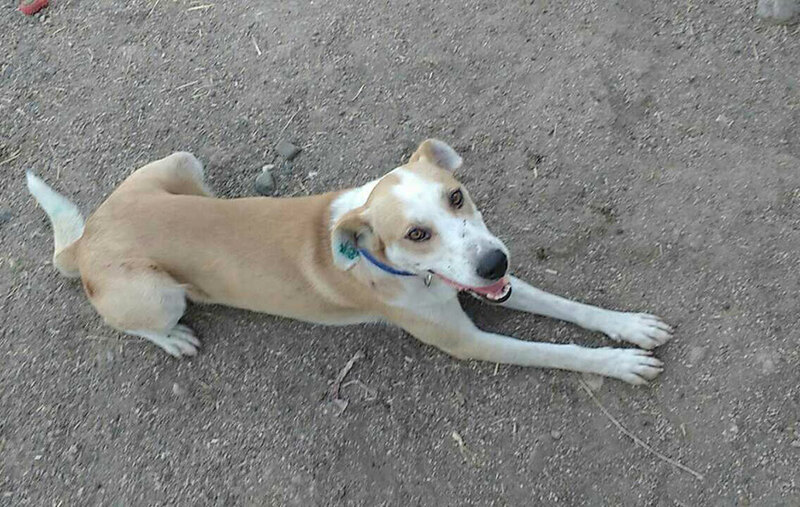 He’s a loyal dog who’ll love and protect his family, and needs to be the only male dog in the home. He was on the streets for about a year with another dog, who was run over and killed earlier this year. Two-year-old Wilson is a real softie who gets on well with other dogs. He was hit by a car and left on the streets, which means he now has a damaged paw that he can’t put down. Despite that, however, he runs and plays, and adores the daily massages he gets for his bad leg. If he could have physiotherapy, things might improve further. He doesn’t need too much exercise — just a garden he can go out into. He needs more of an indoor life, with a comfy cushion to snooze away the day. 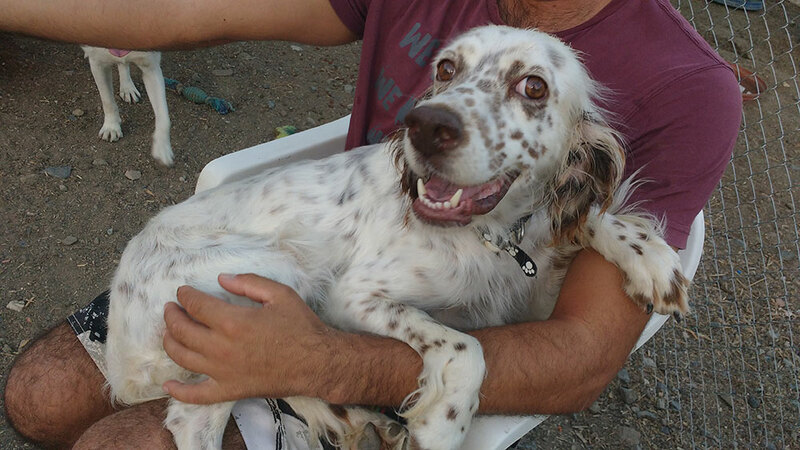 Sofie is an amazingly affectionate two-year-old Setter, abandoned on the streets by her hunter owner. Sweet and loving, she walks beside you and sits in front of you for affection. She’s very tolerant and friendly towards everyone. 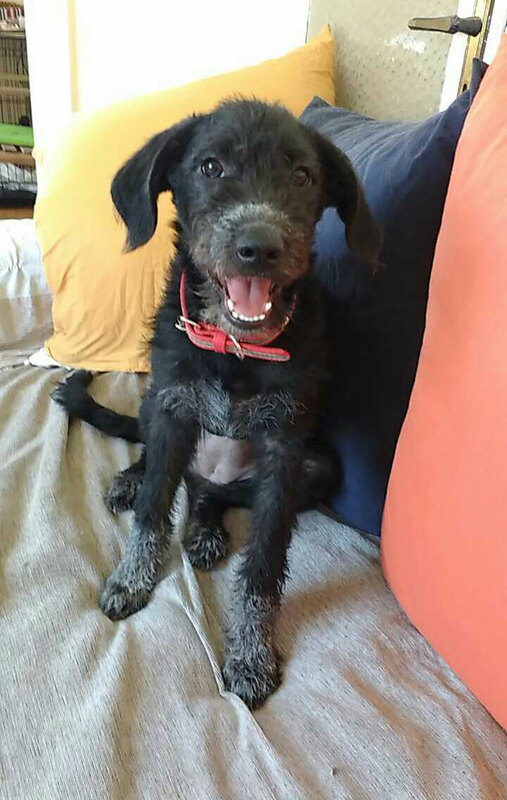 Six-month-old youngster Daisy was born to a dog in care who’s since been adopted in the UK. 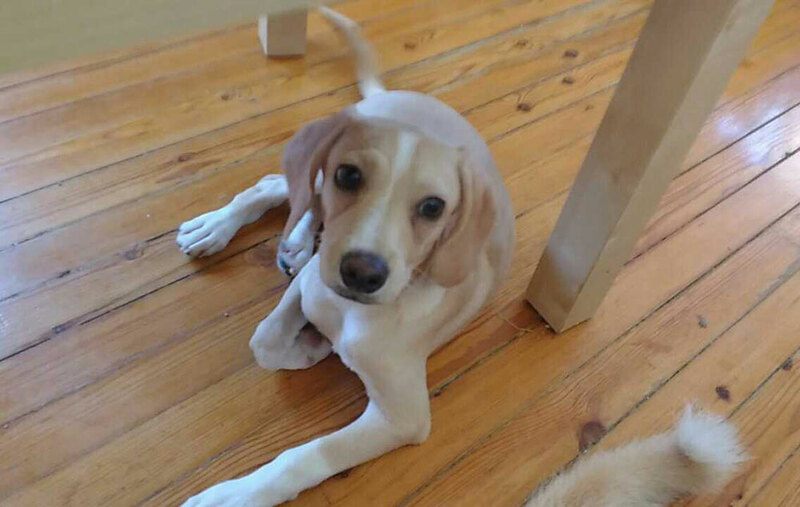 Daisy is very playful and loves cats! She’s also clever and independent — and strong minded at times. She needs lots of affection. 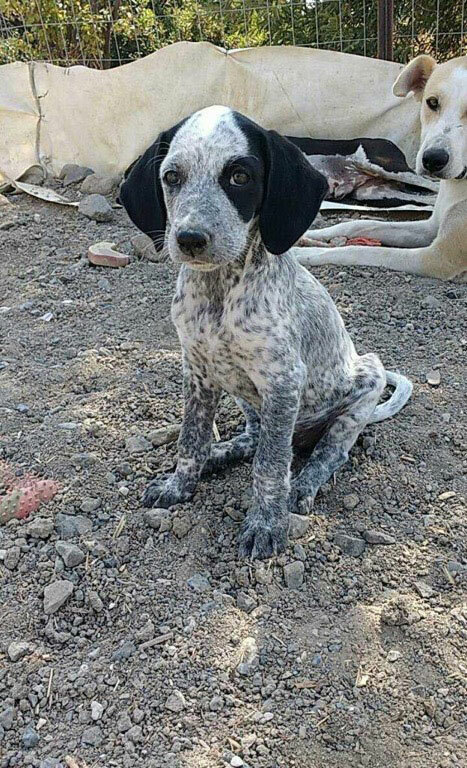 Just one-and-a-half months old, little Luna, a Pointer puppy, was discovered alone outside a small chapel. Lucky to be found, she’ll hopefully have a nicer life as part of a family than as a hunting dog. 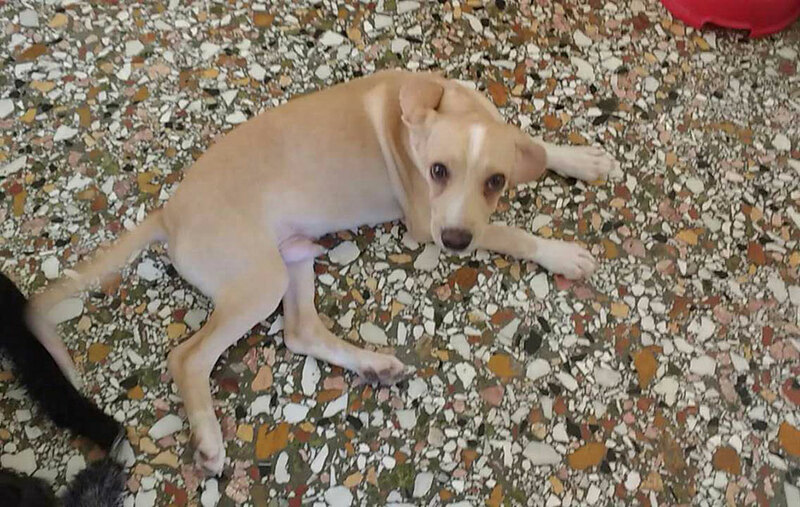 Six-month-old Ricky is a Labrador mix, who was found as skin and bones near the castle of Mytilini. Because of his malnourished start, this wonderful, warm, sensitive dog will stay quite small. He loves playing with other dogs and with kittens. He listens well, loves cuddles, and jumps up for even more cuddles. They are all cuties. I hope they all find good homes. They will all make wonderful pets and family members. All adorable. Please God find them all the perfect home they deserve after what they have gone through. We all have our fingers, paws and tails crossed. We are saying a prayer for these sweet kids – they are all lovely animals who SO deserve a better life than they had before being rescued! I hope they all find a home where they will know love and caring for the rest of their days. Thanks Sam and Pam, Rebecca is going through a very difficult time and any reduction in her stress levels would improve her life enormously. 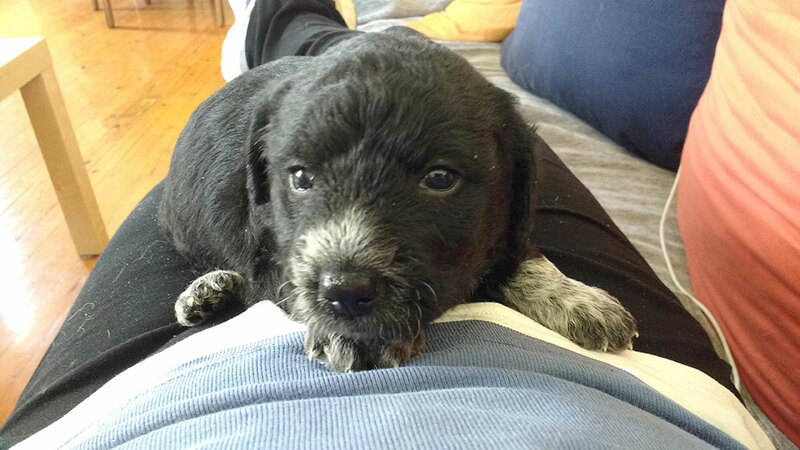 The pups are doing really well but a permanent home would be wonderful! Oh, that makes my heart hurt! They are so adorable, I wish we could take them all in! Aren’t they adorable! Here’s to them all being properly settled soon. Thank you so much – we all have high hopes for them. They’re all absolute cuties! I hope they all find forever homes ASAP! They are darlings and will make wonderful additions to any family! I hope these dogs can all find good homes. They were lucky to be found and rescued. Your new website looks awesome. Feels like I’ve been gone forever. Thank you Little Binky and Granny – we’re all hoping very much that this gorgeous lot finds a home soon! I’m sharing and keeping my paws crossed for them. Thanks Clowie – that’s very kind. Hope all goes well with you, the cats and the bipeds. I wish I could adopt every one of these wonderful dogs – I grew up with bird dogs – my dad was a hunter – but the dogs received better treatment than I did!! These dogs are all extraordinary survivors – I’m hoping they find fabulous forever homes!!!!! There are hunters and then there are hunters who adore their dogs. Your Dad’s hounds were the lucky kind! They are all gorgeous and we do hope homes will turn up soon. 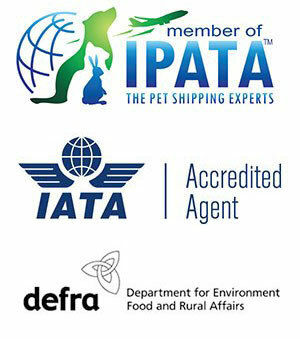 Thanks guys – every little helps wherever rescues are involved. 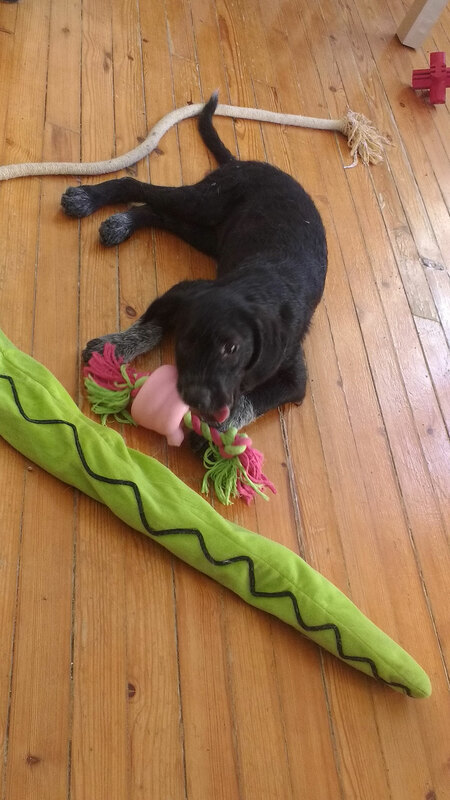 Hello, we have adopted Sofie from Lesvos. She is so happy with us and is the sweetest soul. 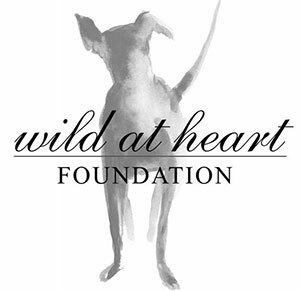 Thanks to wild at heart foundation, Rebecca, and lovely animal friends courier who got her safely to us in Oct 2016. Hi Moyra, delighted to hear about Sofie — she really is a lovely girl and sounds like she’s fallen on her paws with you! Good luck to you all.